As Iraq weathers yet another crisis in its decade’s long saga of war and occupation, it’s intriguing to note that until very recently the Minister of Culture was also the Minister of Defense. This seems oddly appropriate given that nothing less than defense of the nation - but also the very fiber of civilization in its cradle - is what’s at stake now. Cultural resistance has formed the core of Iraqi survival strategies from the Mongol invasion that destroyed Baghdad’s libraries and centers of learning in the 13th century through to the first Gulf War and twelve years of draconian sanctions that wiped out the middle class as well as what had been the best public health and education programs in the Arab world, followed by an illegal invasion and occupation. It continues even as the terrible new invasion inflamed by the first snakes its way through the land where written language, law and architecture were born. I remembered this as I listened to a recent performance of the Concerto for E Minor by cellist Ariel Barnes with the Vancouver Symphony Orchestra – Elgar’s impassioned response to the horrors of WWI and a timely reminder of its ghosts (and borderlines) that haunt the Middle East still. I recalled the Iraqi cellist Karim Wasfi, who, as I wrote in my book Dancing in the No Fly Zone, performed the Elgar concerto in Baghdad with the Iraqi National Orchestra on the tenth anniversary of the first Gulf War. “Culture has no borders,” he told me then it felt as if the musicians were playing on their own heartstrings. Eight years later, I read excerpts from my book – in particular the passages about Karim playing cello in a garden as missiles lit up the night sky- with Ariel as part of a “Culture Under Siege” evening organized as a fundraiser to save the CBC Radio Orchestra. Some six years on, the CBC Radio Orchestra has met a sad fate, but the Iraqi National Orchestra plays on, even with the new Mongols at the gates. As ISIS wreaks havoc and blows up ancient sites, while a coalition of nations that fund it launch air strikes, I recall his words. Watching a local production of Bizet’s Carmen, I also remembered el-Ali’s unique version performed at the Iraqi National Theatre, in which Carmen represented the “true spirit of Iraq” strangled by sanctions profiteer Don Jose – a symbol of embargo related corruption. As friends tell me of ongoing literary fairs on the banks of the Tigris where Baghdad’s poets wax eloquently on Friday afternoons, and a new film festival is being organized in Babylon – even as terrible new armies that would destroy all of this lurk mere kilometers away- I reflect on the true spirit of Iraq. Many leaders have claimed to represent it, but it is more often found in the incredible spirit of resilience of ordinary Iraqis. Abdulrahman Dheyab, who runs the Iraqi Cultural Centre in London – an inspiring place in Shepherd’s Bush with an art gallery, performance and lecture space, called me the other day to make a plea for his village under siege. Today the town of Al Dhuluiya (not far from Tikrit) and its 15,000 inhabitants are under siege by ISIS. For three months there has been constant shelling but the town remains the only Sunni one in the area that has not fallen - thanks to the efforts of its citizens, rather than the beleaguered Iraqi army. Men, women, children, young and old, doctors and teachers, poets and farmers – all have taken up arms against the new invaders- just as they rose to defend themselves during the war with Iran, the US occupation and the extremist Iraqi militias that followed. With 80 dead and 500 wounded and medical supplies, food and potable water in short supply, the town is desperate for humanitarian assistance. There are virtually no international aid agencies in the area (Doctors Without Borders is in neighboring Anbar province but not in Saladin) and the only real emergency medical assistance is available in Baghdad via a circuitous and dangerous ferry (ISIS blew up the bridge across the Tigris) and car ride. 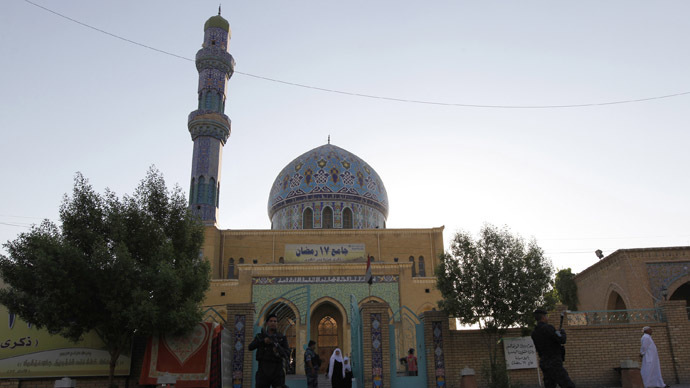 Al Dhuluiya is the last major bulwark between ISIS and Baghdad. If it falls, the dam is broken. I surely hope those concerned about the advance of terror will urgently consider this place and its resilient people, fighting not only for their town, but also for the true spirit of Iraq.